We can clearly see that AuthorizationChecker depends on implementations of ISettingsStorageProviderV30, IAuthTools, and IAclEvalator, but we are not concerned with the actual implementations. This is the dependency inversion principle at work. In this case, AuthorizationChecker and AuthTools don’t depend on each other, but depend on the abstraction provided by IAuthTools. The same is true for AuthorizationChecker’s other two dependencies, ISettingsStorageProviderV30 and IAclEvaluator. The IoC is a static gateway class that provides an abstraction so that your code is not dependent on a particular IoC container for retrieving dependencies. 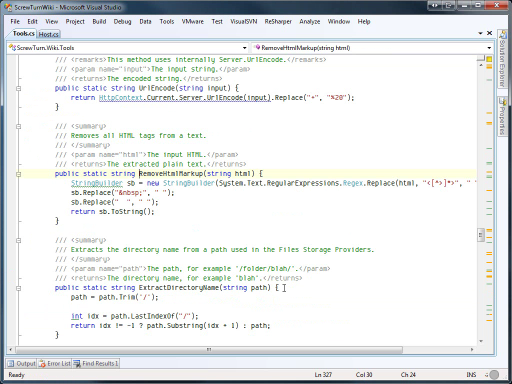 It is similar in interface and approach to Microsoft’s Common Service Locator available on CodePlex. You can read more about the IoC static gateway in “Loosen Up: Tame Your Software Dependencies for More Flexible Apps”. This code is located in the ScrewTurn.Wiki.Core assembly. Rather than manually configuring each dependency individually, we use a convention-based approach whereby any types in the ScrewTurn.Wiki.Services namespace are registered via their first interface. This means that AuthorizationServices is registered as IAuthorizationServices, AuthTools is registered as IAuthTools, and similarly for other types in this namespace. This has the advantage that by placing services in the ScrewTurn.Wiki.Services namespace, they will automatically be registered in the container without requiring explicit configuration. Other classes can then take dependencies on these services simply by adding the appropriate interface to their own constructor. AclEvaluator is located in the ScrewTurn.Wiki.AclEngine assembly. Since it is the only dependency in this assembly, we register it explicitly. There isn’t a great deal of value from having a separate assembly for ScrewTurn.Wiki.AclEngine and I would consider merging the AclEngine project into Core. AclEvaluator could then be placed in the ScrewTurn.Wiki.Services namespace and auto-registered like the other dependencies. 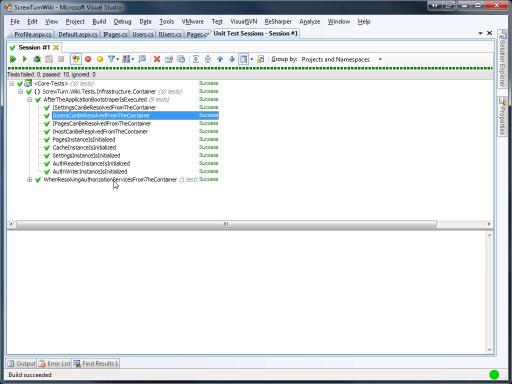 For the moment, AclEvaluator serves as an example of how to explicitly configure dependencies in Castle Windsor. ScrewTurn Wiki has code that dynamically loads a particular ISettingsStorageProviderV30 implementation specified by a fully qualified class name in a configuration file. Although we could use Castle Windsor’s configuration facilities to configure and load the appropriate assembly and implementation, that is not the current focus. We can leverage the existing loading mechanism by supplying Castle Windsor with a fully constructed instance via the Component.For<T>().Instance(obj) syntax. 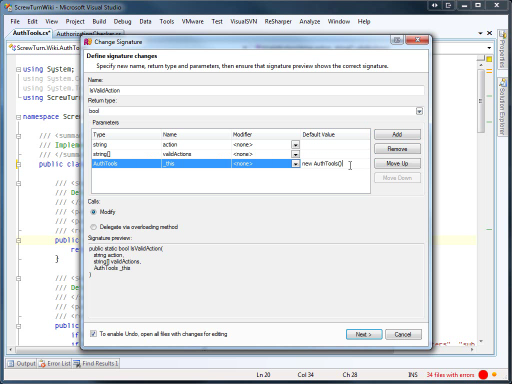 Windsor provides many more configuration options, including overrides, parameters, XML configuration, and more. You can find a lot more information on configuration options in Castle Windsor in my article, Bricks and Mortar: Building a Castle. Windsor has two constructors to choose from. It starts from the constructor with the most overloads. 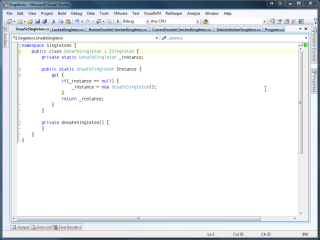 It will see if it has implementations for all of the constructor parameters. (If it can’t find implementations for all constructor parameters, Windsor will attempt the next most overloaded constructor.) In this case, it will see that it needs to find an implementation for ISettingsStorageProviderV30, IAuthTools, and IAclEvaluator. Windsor has an instance of ISettingsStorageProviderV30 that we supplied to it earlier. 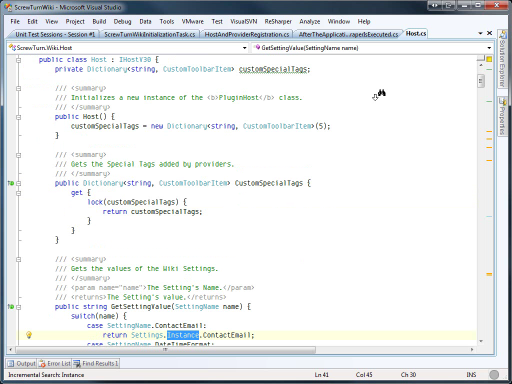 It can also create instances of AuthTools and AclEvaluator because they have no further dependencies. 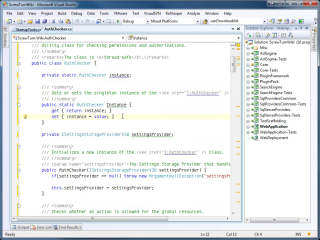 Windsor passes the newly created AuthTools and AclEvaluator, as well as the pre-built ISettingsStorageProviderV30 to AuthorizationChecker’s constructor. 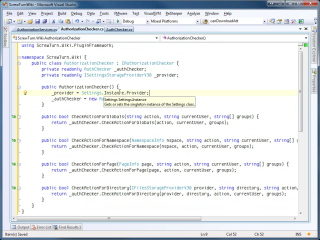 Windsor then passes the newly created AuthorizationChecker to AuthorizationServices’ constructor. Finally, Windsor is able to pass back AuthorizationServices to satisfy the call to IoC.Resolve<IAuthorizationServices>. Note that Windsor is responsible for managing the lifetime of objects registered in the container. Windsor’s default lifetime strategy is singleton. That means that multiple classes depending on IAuthorizationServices will all receive the same instance of AuthorizationServices. This instancing policy is easily changed on a per-service basis and includes options such as per-thread, per-Web-request, transient, and pooled. 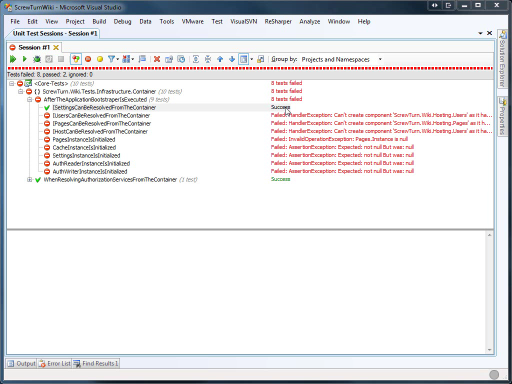 You can even create your own instancing policies if none of the built-in ones are appropriate. If AuthorizationChecker required another dependency, we would simply declare that fact by adding another constructor parameter with a type of the required service interface. We would then create a concrete class in the ScrewTurn.Wiki.Services namespace that implements that service interface. I have seen many projects place all container configuration into a single XML or C# file. This is especially unwieldy if explicitly configuring dependencies individually, which is why I prefer the convention-over-configuration approach discussed above. 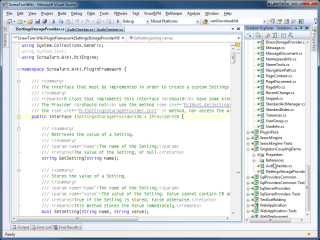 By placing dependencies in certain assemblies and namespaces, they are automatically registered. (Note that the convention-over-configuration approach is not available with XML files, although XML files are useful for specifying deployment-time overrides if necessary. For more information about this technique, see Bricks and Mortar: Building a Castle.) Placing all of our conventions in a single C# file can quickly become cumbersome as we have unrelated conventions bundled together. We start by creating a new WindsorContainer and using it to initialize the IoC static gateway. We then alternately register and execute FacilityStartup, ContainerStartup, and Startup tasks, as shown in Figure 2. Note that IFacilityStartupTask|IContainerStartupTask.Execute both take an IWindsorContainer, as their purpose is to configure the container. IStartupTask.Execute is to perform other types of initialization once the container is ready to be used and therefore doesn’t accept an IWindsorContainer. You can see the convention responsible for registering all services in the ScrewTurn.Wiki.Services namespace. There is also the extra configuration for the AclEvaluator. If we choose to combine the AclEngine project into Core, we could eliminate the extra configuration step for AclEvaluator. As we break apart the “God object” that is the Host, we can modify its container registration in one place without affecting the registration of the services. If we need to perform additional unrelated container configuration, we create another class that implements the IFacilityStartupTask or IContainerStartupTask without affecting other configuration that is already taking place. Although it is not initially obvious, the ScrewTurn Wiki codebase suffers from dependency problems. Tight coupling of implementation classes caused by singletons and static classes result in a morass of objects, which is difficult to refactor. 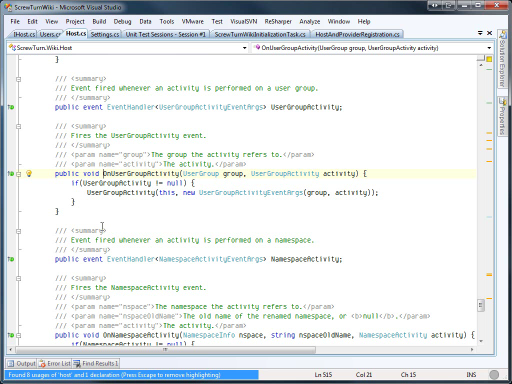 Dependency cycles between objects result in sensitive constructor and method orderings, which can result in unexpected NullReferenceExceptions after apparently innocuous changes to the code. In this article, we have made dependencies obvious by changing them into constructor parameters and using an IoC container to wire together the dependencies. Using convention-over-configuration approaches eases the introduction of new functionality, without requiring explicit configuration. We have introduced a reusable ApplicationBootstrapper, whereby new startup tasks can be added as the application grows without modifying existing code. The resulting codebase should be more flexible and maintainable over time.